Welcome to VIP Realty Company in Central Indiana! VIP Realty Company, LLC provides commercial and residential real estate sales and listing services throughout Indiana. Specializing in Indianapolis real estate, VIP Realty Company actively serves clients throughout the entire State of Indiana. Looking to purchase Indiana real estate, but you're located elsewhere? We can help! Many of our clients contact us to conduct the initial research, take photos, obtain floor plans and negotiate with the seller. VIP Realty Company, LLC will take care of all the necessary steps to find you the home or business you deserve. For Indianapolis real estate services you can count on and for the services you deserve, choose VIP Realty Company, LLC. With the 30-year-fixed-rate mortgage at the lowest rate ever recorded, now is a great time to talk to Tammy about refinancing your current loan. Call her soon at (317) 345-8269 before the rates go up. Real Estate Search 23,000+ Homes, Condos & Lots for Sale. We download central Indiana MLS listing data every 15 minutes from the Indianapolis Multiple Listing Service (MLS). Indianapolis Real Estate Listings Here. 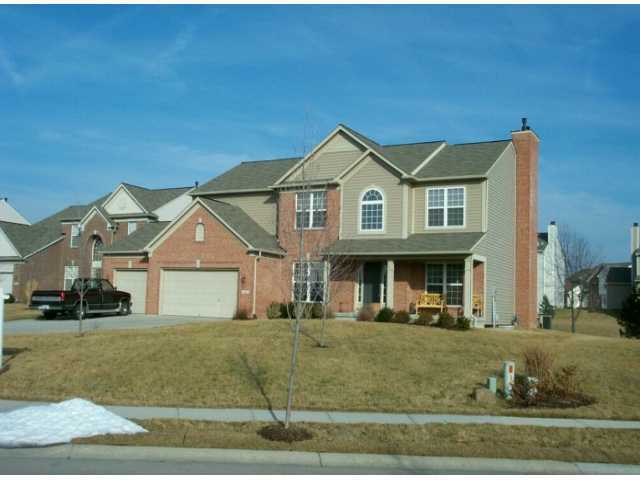 Find Indianapolis new homes for sale and Indianapolis new home communities. The real estate market in Indianapolis Indiana is very competitive. You should know what your home will bring before you put a "home for sale" sign in your yard. Welcome to VIP Realty Company, LLC, where you are always treated like a Very Important Person. VIP Realty's founder, Tammy Bookout of Indianapolis, Indiana, focuses on providing that extra step of personalized service that makes all the difference in the world when dealing with the stresses of selling your current home or buying a new home. With over six years of service in the Indianapolis real estate market, Tammy is the right person to help negiotiate the purchase or sale of your home or business. We serve homeowners and home buyers throughout the Hoosier state, with a focus on Indianapolis and Central Indiana. If you have a home for sale in Indianapolis or the surrounding communities, such as Carmel, Fishers, or Zionsville, VIP Realty will work day and night to ensure that every possible tactic is employed to make your home as visible and saleable as possible in the Indiana real estate marketplace. Click map to search 23,000+ listings of Central Indiana homes for sale. "VIP Realty took the pressure off of us to sell our home. Tammy is extremely organized and passionate and worked very hard to get us what we monetarily needed out of our home. She was also a wonderful asset as we looked to purchase a new home. VIP took the guess work out of everything. Tammy under-promised and over-delivered, and always within the timeline she gave us. We have recommended VIP to several of our friends and family members, and will utilize her services if we move again."